An interesting book that examines the intrigue, machinations, and back channel meetings that took place during the miners’ strike and which seeks to underscore and examine why it failed through the use of documents obtained under Freedom of Information and through interviews with the key players on either side. The book takes an issue that is black and white for many depending on your politics (NUM good, Thatcher evil) or (Thatcher good, NUM evil) and demonstrates that it is really many shades of grey, depressing grey. The authors reveal that throughout the strike and right through until January 1985 that the Government were not sure they were going to ‘win’ the dispute with the NUM, and they also reveal that throughout the dispute there were many attempts at negotiating a deal between the National Coal Board (NCB), and the National Union of Mineworkers (NUM). Talks were orchestrated by Stan Orme, the Labour Shadow Secretary of Energy between Scargill and McGregor. Separate talks were arranged by Bill Keys, a left wing printworkers union leader between Lord Whitelaw (Deputy Prime Minister) and Mick McGahey, the Communist vice president of the National Union of Mineworkers. Talks were held by Norman Willis, General Secretary of the TUC (Trade Unions Congress) and Iain McGregor (Chairman of the NCB). All of these talks, with the exception of the Scargill one, produced some form of agreement. 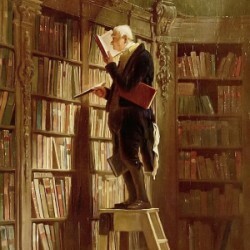 An agreement that the union leaders involved at each point felt was reasonable, was something that would save the NUM, and was something that would be a negotiated settlement of the dispute that would allow the NUM to remain strong. Each time any agreement was rejected by Scargill according to the authors. Scargill’s finances are put to the sword as well and his unusual financial arrangements come under the spotlight and are questioned by the authors. Also examined are his justifications for sending Roger Windsor to Libya for money, and the fact that after the strike Scargill apparently told the other Union leaders who had tried to help (even though he publicly accused them repeatedly of doing nothing and being class traitors) that the NUM could not repay the many hundreds of thousands of pounds that many other trade unions had lent to the NUM to help them in their struggle. The sore conclusion from this book, disputed by those on the left and Seamus Milne, is that it was Scargill’s intransigence, his refusal to compromise, or accept a 95% victory that led to the Mineworkers losing the strike and going back to work without a settlement and without having prevented what eventually happened to miners throughout Britain. What is also clear is that the Government were heavily involved and that Peter Walker, who could have been in Brighton but for the strike, played a crucial role in ensuring that it was the Government that endured, rather than those on strike. It is also clear, through the facts presented, that this was not just a dispute between the NUM and the NCB, or between Scargill and Thatcher, but in fact a civil war within the mining community, miner versus miner. Many thousands of miners, especially in Nottinghamshire refused to strike and wanted to work, it was here that clashes occurred between miner and miner, between pickets and police. Where violent intimidation of ‘scabs’, those who wanted to work, occurred and how the strike organised was not as effective as in the past due to poor organisation, police tactics, and a lack of unity amongst the miners. From this book the conclusion drawn is that Kinnock tried hard to help and was a noble man in the eyes of the authors, that McGahey knew a compromise had to be sought but could not challenge Scargill, that Bill Keys tried his best to negotiate a settlement, and that the TUC were marginalised by Scargill and told to stay out of it but still tried to prevent the complete and utter defeat that the miners eventually suffered. Scargill on the other hand is vilified and on the evidence presented, rightly viewed as a fool who was on a ideological class war for which only total victory would do and for which any deal with the Government/NCB was not enough unless they capitulated. As for Scargill who refused to co-operate with the authors, in 1984 he went into a strike with a big union and a small house. When he retired as President of the National Union of Minerworkers in 2002 he was the head of a small union, and had a big house. He also receives an extravagent pension while setting himself up for a job working for a NUM fund as well as claiming to retain the use of a 3 bedroom flat paid for by the NUM in the Barbican. 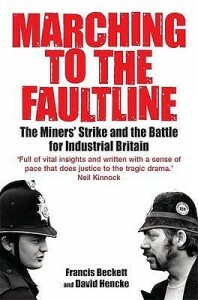 According to the authors of this history of the strike, "the miners trusted Arthur Scargill with their homes, their families, their future, their safety, everything they had and he let them down". For Scargill the only history he wants written is one which proves he was right.